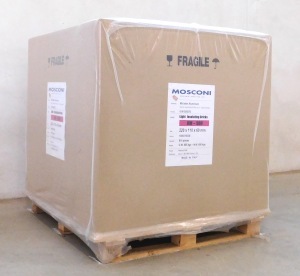 Packing has been devised to guarantee a safe shipment of the goods all over the world. 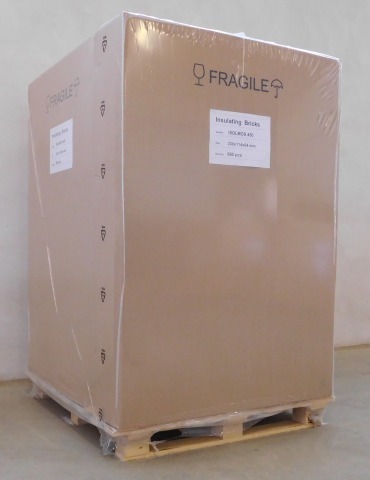 The dimensions of the standard packaging enable to optimize the loading and prevent the pallets moving inside the container, both when they lay on a single layer and when they are stacked. 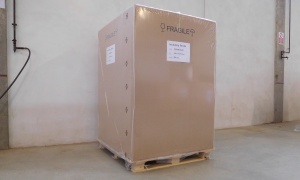 Special packings (including europallets) are available to meet specific needs. 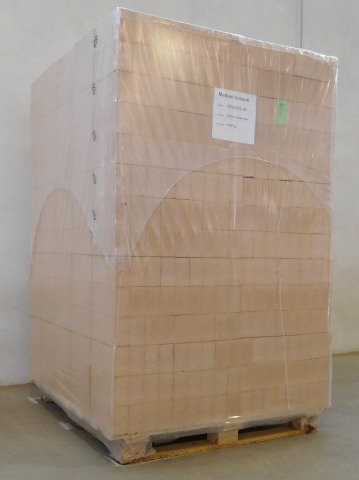 "Short" (stackable) pallets (height: 100-120 cm) are meant to be stacked inside a truck or a container. 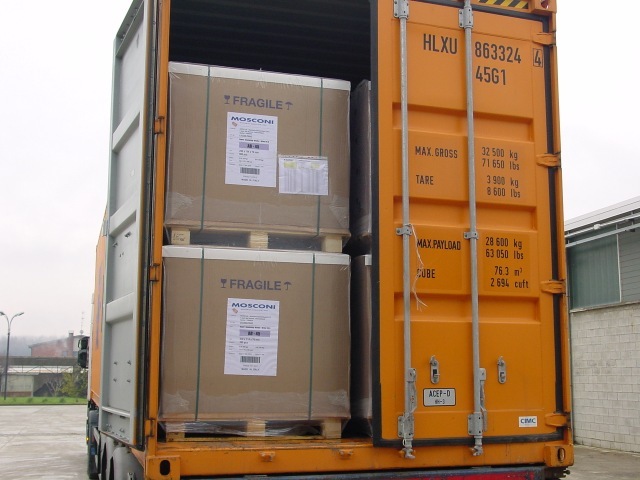 "Tall" pallets (height: 165-175 cm) are meant not to be stacked inside a truck or a container. 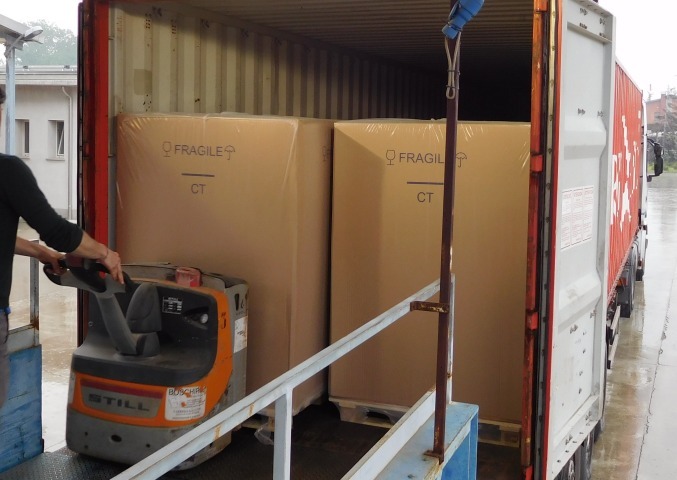 A truck allows to load 44/48 short (stackable) pallets (about 48/52 m3). 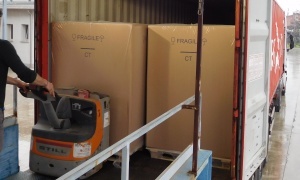 A 40' container accomodates 40 short (stackable) pallets or 20 tall (non-stackable) pallets. 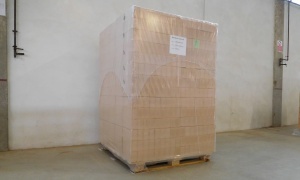 A 20' container accomodates 20 short (stackable) or 10 tall (non-stackable) pallets. Please note: the bricks are inert and don't have expiring date. 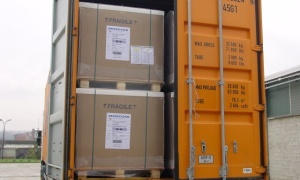 The shrinkfilm enables out-door storage, but only for limited period: please make sure that the shrinkfilm remains waterproof and replace it if faulty. 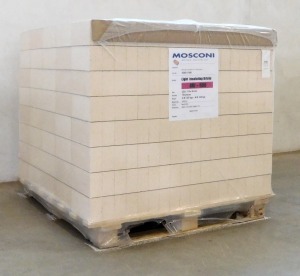 In case the bricks get wet, dry them before installation. 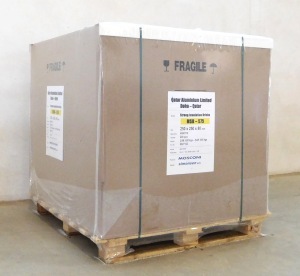 For long period, storage under tarpaulin is recommended.